Well, it seems that everyone has been headed to Mt Randall over the last couple of weeks and being as I missed the summit last time I was on the Bibbulmun in this area I decided to check it out this morning and I was not disappointed by the reward! After dropping The Restless Hiker at school I headed out to Albany Highway where you can park at the turn off at Randall Road. 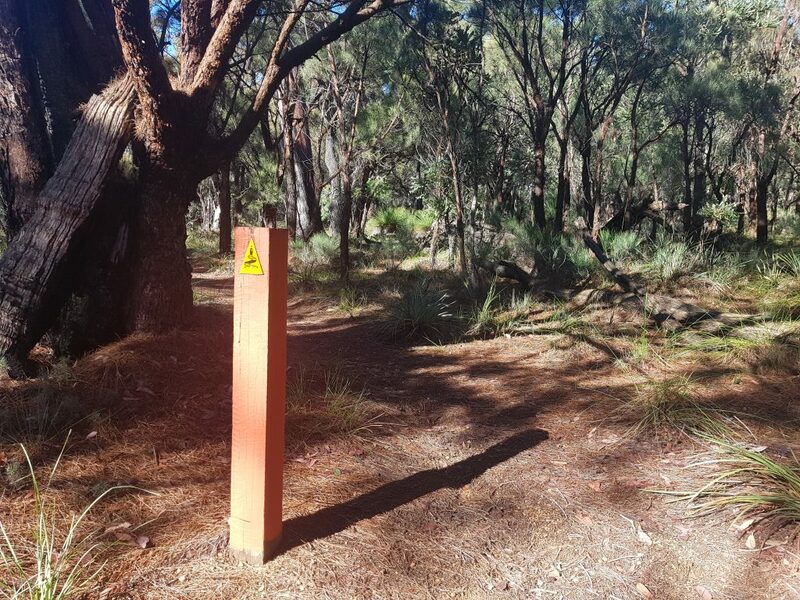 Walking 2.5kms down Randall you will find Herold road to your right and your first Waugal marker, marking the Bibbulmun track crossing. The return journey from Randall Road to Mt Randall is approximately 12kms through beautiful Jarrah forest. 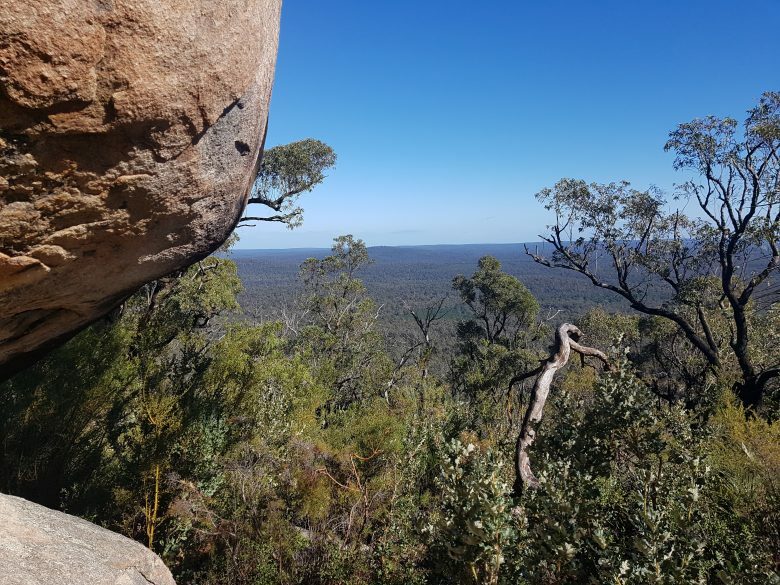 It’s worth noting that Mt Randall is NOT on the Bibbulmun track, so while you will follow the Waugal markers from Herold Road out the Monadnocks Camp Site you will be bushwhacking to get to the top of Mt Randall, so some hiking experience is recommended. But, let’s not get ahead of ourselves. 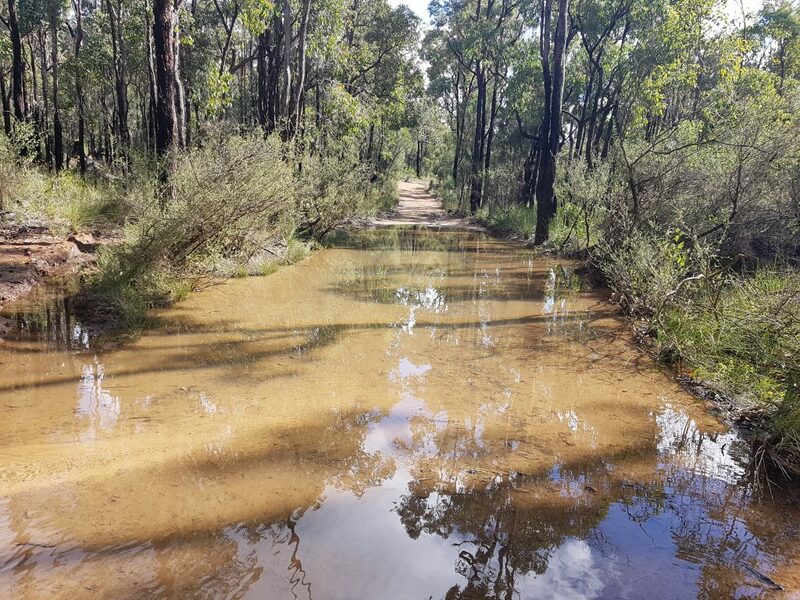 Randall Road and Herold roads are 4WD access tracks but driving on these roads is not permitted as they are within the Dieback Disease Risk area. Thankfully, Herold Road is a slightly more interesting inclined track which was washed out in parts making for some tricky ‘creek’ crossings. 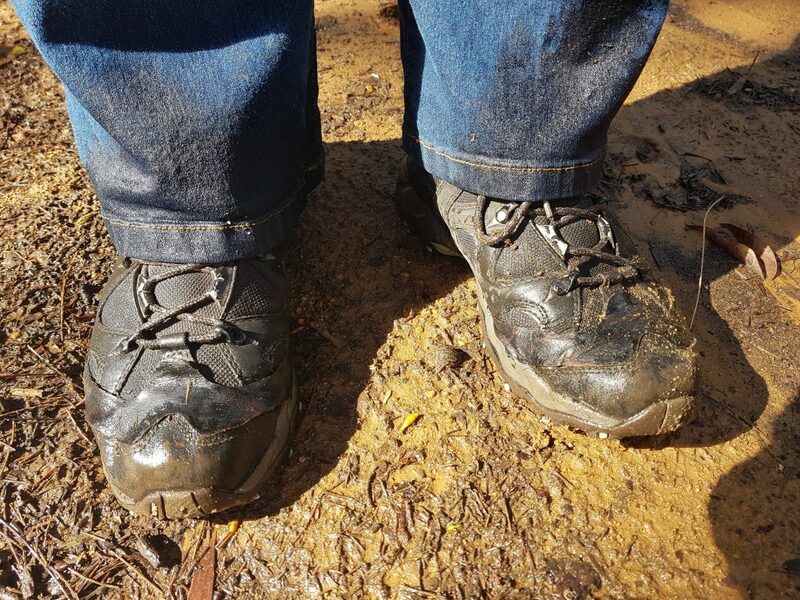 I had no trouble on the way out and survived with dry boots… the way back was another story and I fell in (much to my own amusement… and that of a curious wallaby!) … yes I wore Jeans … no I don’t care what you think of my hiking attire. About 2.5kms down the track the Bibbulmun finally offers some actual hiking as it leaves the access track and veers up the range. From here, it’s a short walk to the Monadnocks Camp Site, which is a good spot for a quick cuppa and a scrawl in the Visitor’s book. Hiking people are my favourite kind of people and the hut’s container was full of protein rich munchies and snacks. 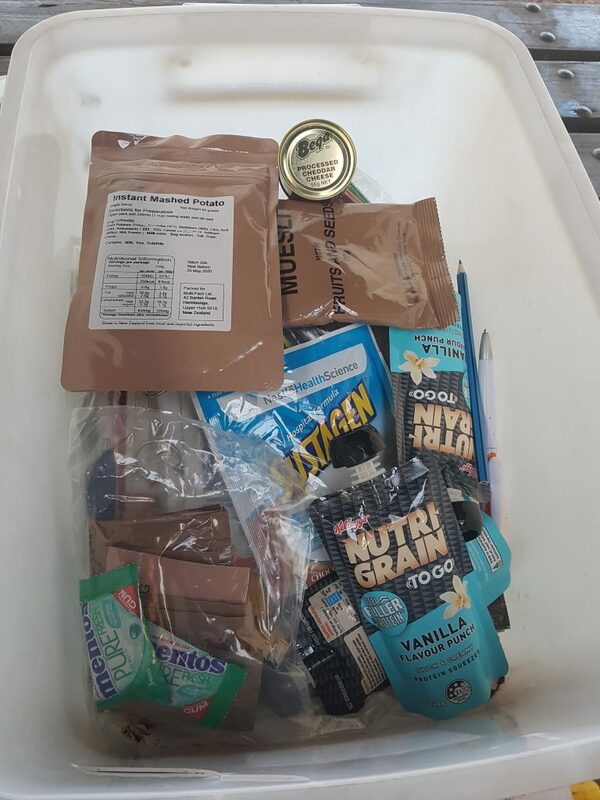 (Note: I’ve since learned this is frowned upon… however I kinda think it might turn a hungry hiker’s frown upside down… but still don’t do this… but it’s awesome… so maybe do… just make sure the lid is secured 😉 ) I love that we look out for each-other! Obviously, the camp site had been used that night and it was freshly swept out and ready for the next campers. I nicked a Weather’s Original from the tub, left my extra coffee sachet and set off towards the ‘mountain’ which is West of the campsite. 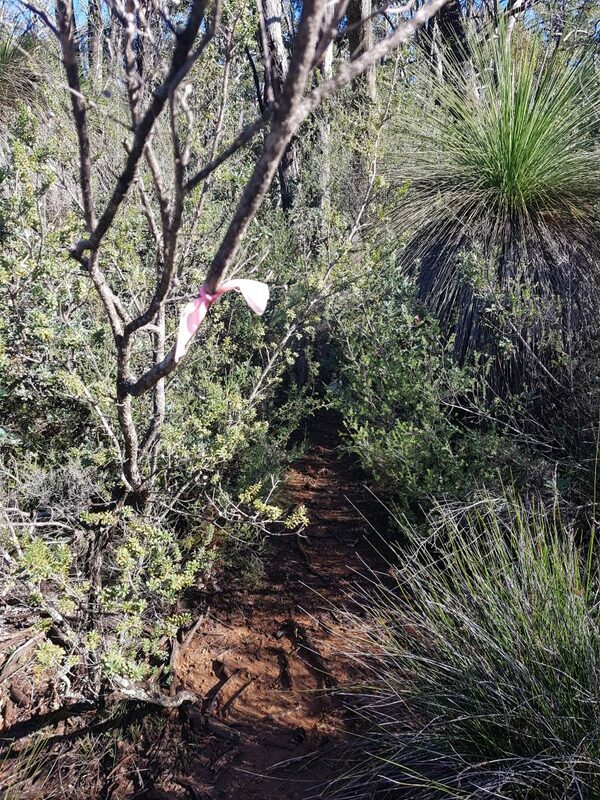 After wandering around aimlessly looking for an entry point (and almost losing my nerve) I happened across a little pink marker in a tree and happily found a narrow, almost non-existent, trail heading in the right direction. 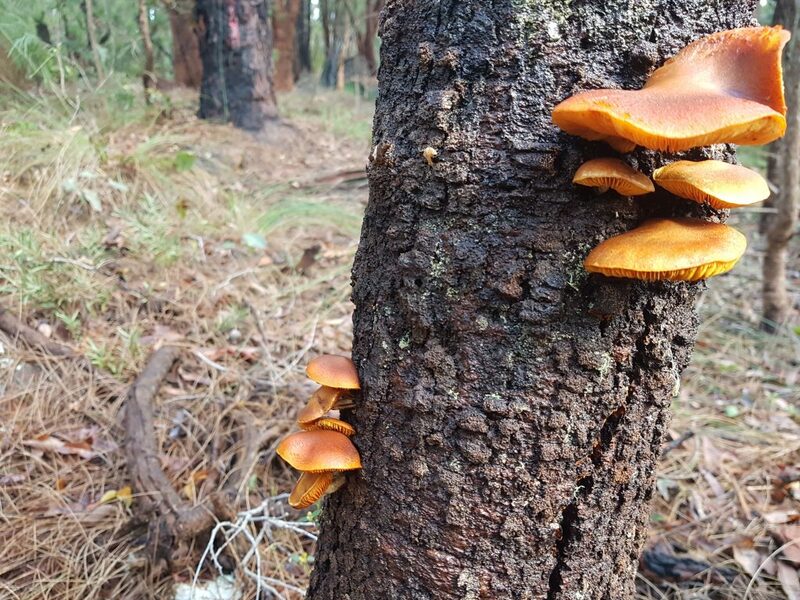 After pushing my wide frame through some thick-ish scrub, snapping a few branches as I went (you’re welcome) I started noticing more and more fungi and moss, marking that I was close to exiting the canopy. What a treat when the scrub opens up and the ranges come into view! Traversing across the top of Mt Randall you have views across to Mount Cuthbert and Vincent (another great hike!) and over the highway out towards 37 Mile Road. 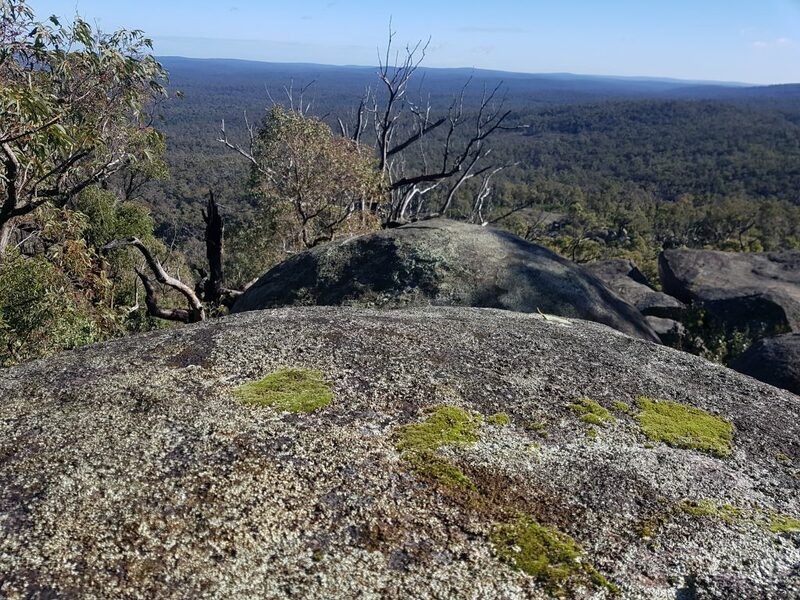 Up the top there is much to explore and you want to be pretty confident rock scrambling across mossy outcrops to really enjoy the views to their fullest. I know a lot of people have written about Mt Randall recently, but today, on my own, having walked off the beaten trail, I felt like I was exploring an untouched piece of our beautiful range. 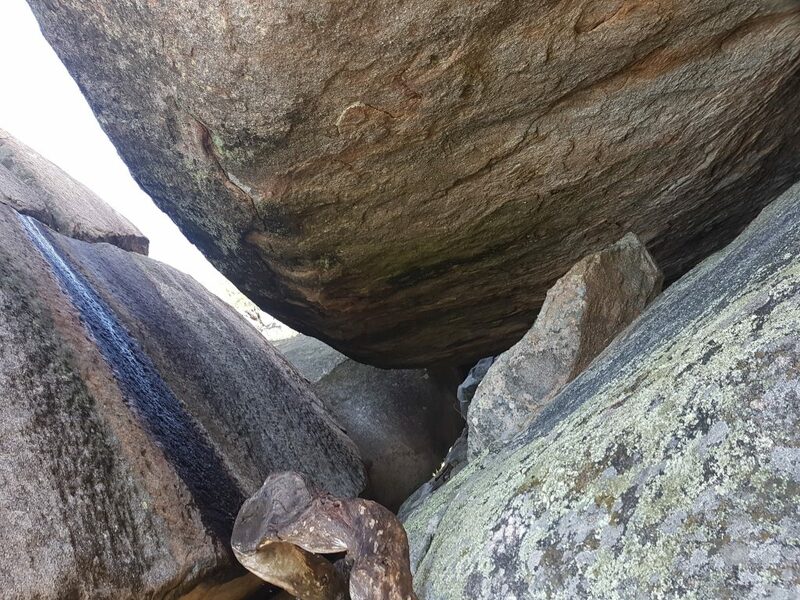 After taking some very terrible selfies and almost falling off one of the larger boulders I turned heel and headed back down the way I had come. I returned to my car sore, soggy and with a huge smile on my face.